In what could be the third ad-for-equity deal for Bennett, Coleman and Company Ltd (BCCL) in Indian technology unicorns, the media conglomerate is in talks with Flipkart to pick a small stake in the e-commerce firm. BCCL has initiated discussions with Flipkart over a Rs 500 crore deal to pick an undisclosed stake in the company through its ad-for-equity investment arm Brand Capital, Mint reported citing four people familiar with the matter. 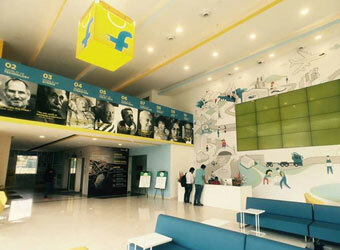 Citing unnamed sources, the report said that if the negotiations go through, Flipkart will issue shares to BCCL on a part-cash and part-advertisement deal wherein the e-commerce major will receive free advertisements and promotions on BCCL's various media properties including the country's largest English daily by readership The Times of India, The Economic Times and news channels Times Now and ET Now, for years. Separate email queries sent to spokespersons of Brand Capital and Flipkart did not elicit a response till the time of filing this report. Brand Capital, which picks stake in companies in lieu of ad spends through its media properties, has been expanding its exposure to digital business beyond its in-house arm Times Internet. VCCircle had recently reported on Brand Capital's proposed deals with two other Indian internet unicorns. The firm has already sealed a deal with Flipkart's competitor Snapdeal and was in the final stages of negotiations with online classified platform Quikr. BCCL has previously backed other internet firms such as Infibeam (horizontal e-commerce) and LocalBanya (e-grocer that shut up shop), among others. Since January, it has backed ventures such as e-commerce startup for customisation of products icustommadeit.com, e-grocer TaziSabzi and O2O hyperlocal deals discovery platform FLIT. Brand Capital's interest in Flipkart and Snapdeal assumes importance as BCCL's digital business arm Times Internet also runs own e-commerce marketplace under Indiatimes Shopping. Though it is a small fry in the multi-billion dollar Indian e-commerce industry, it is in the same business as Flipkart and Snapdeal. Recently, BCCL had come up with an innovative method to pick up stakes in early-stage companies in return for providing advertising opportunities across its diverse media platforms, a practice it has been following for over a decade. In an arrangement that could be first of its kind globally, BCCL, also known as the Times Group, has partnered with local private equity and venture capital funds which grant BCCL a stake in their investee firms in return for advertisements and promotions across BCCL-owned media properties including its English dailies, TV channels, radio stations and a host of internet platforms, among others. Called Divinitus Capital, the division makes notional contributions to the funds raised by PE and VC investors by offering advertising solutions which are valued as per mutual negotiations between BCCL and the investors. Divinitus is housed under Brand Capital.